Crates of U.S. manufactured parts are prepared for shipment into Mexico Friday June 2, 2017 at Freight Dispatch Service Agency LTD in Pharr. PHARR — Near the unloaded boxes labeled “Assembled in Mexico,” a cluster of Ford vehicle turn signals sat inside a warehouse near the international bridge here Friday as workers prepared the shipment for a Saturday departure to Ford Motor Company in Kansas City. Each set of blinkers, and the attached station that control windshield wipers, look as they appear in a car, just without the steering wheel attached. Freight Dispatch Service Agency receives the parts that make up the blinkers, and many other items such as fan blade parts, air conditioning unit parts and much more. The blinkers, and other parts, are then trucked to Mexico to be assembled before returning to Freight Dispatch Service Agency to be sent to customers across the United States, like this current shipment headed for Kansas City. Ford is a Michigan-based, legacy American automaker. Many automakers have turned to Mexico to assemble its parts, and the North American Free Trade Agreement allows that to happen. 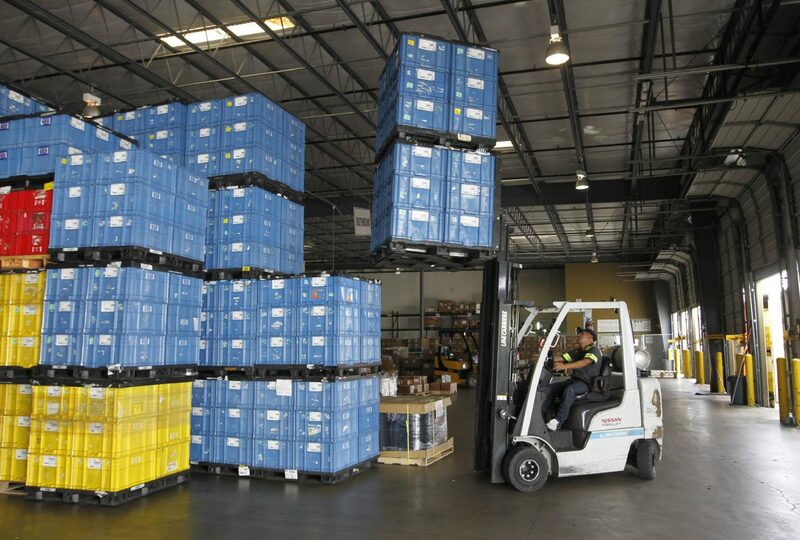 Because of this, his intimate familiarity with this process and the trade, Adalberto Campero, who runs Freight Dispatch Service Agency, is part of the Pharr-Reynosa International Bridge’s NAFTA modernization team. Campero has a nearly 80,000-square-foot facility in Pharr and is renting out another 60,000-square-foot space, before he builds a 100,000-square-foot facility and moves the operations from the rented building to the permanent spot. 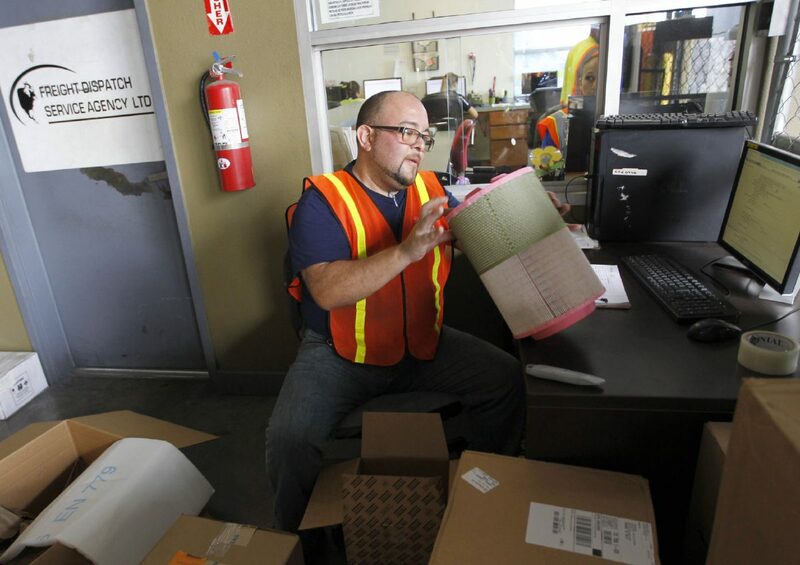 Roberto Trevino checks the part number of a U.S. manufactured air filter before shipping it into Mexico Friday at Freight Dispatch Service Agency LTD in Pharr. The freight service ships parts between the U.S. and Mexico that pass through the border freely due to the North American Free Trade Agreement. 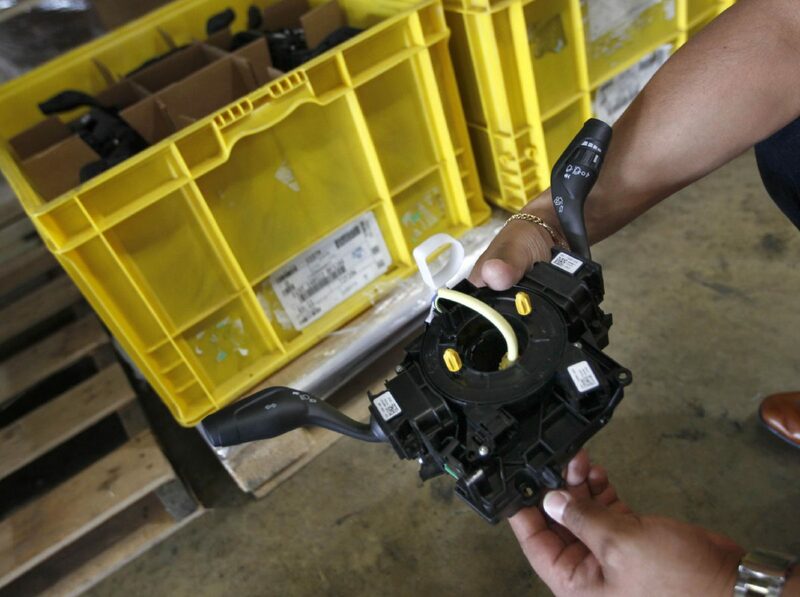 Jorge Alberto Meza holds an automotive control assembly that is mounted into a vehicles steering column as the part waits for shipment Friday June 2, 2017 at Freight Dispatch Service Agency LTD in Pharr. The part is assembled in Reynosa, Tamaulipas and was waiting to be shipped to the Ford Motor Company assembly plant in Kansas City, Missouri. Edgar Delgadillo, chairman of the bridge board, as well as Bridge Director Luis Bazan and city consultant Hollis Rutledge, make up the rest of the team. Between now and mid-August, the United States will be crafting its position on renegotiating NAFTA. U.S. Trade Representative Robert Lighthizer notified Congress on May 18 of the Trump administration’s decision to renegotiate the two-decade old pact. That notification triggered a 90-day clock before the United States, Mexico and Canada can sit down for renegotiation talks. The Pharr group has already been to Washington since the notification was issued. They met with influential officials and groups regarding the renegotiation, including the South Texas delegation and Texas Republican Sen. John Cornyn’s staff. Cornyn sits on the Senate Finance Committee, which has jurisdiction over NAFTA on the Senate side. On the House side, NAFTA falls under the Ways and Means Committee, which is chaired by Kevin Brady, R-The Woodlands. They met with Brady, as well as House Financial Services Chairman, Rep. Jeb Hensarling, R-Dallas. The final elected official they met with was Rep. Pete Olson, R-Sugar Land, who sits on the House Committee on Energy and Commerce. They also met with the Department of Commerce, the National Security Council, Customs and Border Protection, Department of Transportation and the Canadian and Mexican embassies. The Pharr group felt these were critical officials and groups to help push some of the changes they believe are important to a modernized trade agreement. A few of the group’s initiatives include a tri-national worker program, changes to technical barriers and rules of origin. The worker program is like a vetting program among the three countries, Bazan said, so people working in trade in the three countries are treated fairly. Technical barriers the group is pushing for is mirrored bridge times. The U.S. side and Mexican side are not in sync. For example, Servicio de Administracion Tributaria, the CBP parallel in Mexico, does not begin inspecting southbound trucks at the same time CBP begins inspecting northbound trucks, which puts a hitch in the trade flow. So trucks can begin crossing from Mexico to the United States before they cross from the United States to Mexico. They would even be open to the bridges running 24 hours, like they do at the U.S.-Canada border. “We would create more jobs and the trade would flow well,” Campero said. The two countries also have differing national holidays, though CBP still stays open for inspections during U.S. holidays, whereas SAT works abbreviated days during Mexican holidays, Bazan said. Another initiative the group is pushing for, and one Campero deals with daily, is rules of origin. NAFTA states that in order for goods to fall under the agreement, 60 percent of them have to be made in the three countries. The group said if it was, say, 15 or 20 percent had to be made in America, it could help stimulate the U.S. economy. Just like the turn signals that get sent as loose parts to Campero’s facility, then get assembled in Mexico before returning to the United States. Campero said the Pharr group is in a prime position to help shape the NAFTA renegotiation. They will make more trips to Washington, and try to bring some officials from Washington to the Valley.